This is the last of a 5-part article on how regular marketers can use Big Data to improve campaign performance. If you’ve missed the first part, you should start here. In the first part we covered data segmentation. In the second part we looked at better ways to analyse big data. In the third part we learned how to identify market trends. And in the fourth part we discovered factors that influence marketing performance. We will now look at ways to build more robust marketing solutions based on the learnings from the previous four steps. A perfectly good use of big data is to improve the performance of existing campaigns. But its utility doesn’t stop there. Creating marketing strategies based on data can deliver better results right from the start. Advertisers who harness information about their target audience when devising a marketing strategy are more likely to create campaigns that perform better. Volumes of data are now available to make this process smarter. When researching your customers and the marketplace, you can use big data to delve deeper and grow faster. As digital professionals, our concept of market research tends to be fairly limited. While keywords searched on Google are easy targets for your ads, they typically don’t represent your entire target market. In other words, just because someone hasn’t yet searched for a keyword you’re bidding on, does not mean they will not buy your products or services. Big data allows you to discover more about your target customers. Let’s look at this with a real world example. An insurance company that sells special automobile insurance for sports cars could start by simply bidding on high volume and long-tail keywords. They’d probably find competition is very stiff here, and CPCs can get eye-wateringly high. The next logical step for them would probably be to advertise on the display network by targeting relevant keywords and placements. Chances are they aren’t the only insurers vying for eyeballs in this space too. If they are serious about growth, they need to start looking at their customers and understanding them. Analysing the typical sports car owner’s online and offline behaviour may show that these customers indulge in luxury brands, exclusive parties, and travel in style, but they don’t necessarily earn a lot higher than the national average. Using this information to target such individuals via social media could allow the insurer to grow their reach significantly, and put their brand in front of their customers before they even search for their services. Once you’ve identified what your customers like, your marketing strategy can be built to reach them appropriately and appeal to their specific tastes. Your understanding of the marketplace will allow you to segment available audiences and determine exactly whom you will target and where. It will also empower you to decide on a value proposition that determines where your brand is positioned and how you differentiate it from competitors. In the example above, the insurer could use the insights gleaned from market research to build a multi-channel marketing strategy that covers the obvious search and display targets, as well as broader interest-based targets via social networks. Mining consumer data can also help marketers determine what message will resonate best with a given audience. Tools like Crystal allow sales and marketing professionals to learn about the personality, likes, and dislikes of almost any individual with an online profile. These tools give a glimpse into the advantages available to intelligent marketers with access to big data. What if you knew that the majority of your customers prefer to be addressed formally, like the colour purple, are easily distracted by images of concept supercars, and respond well to clear calls to action? Wouldn’t that make the task of creative development so much easier? A robust marketing strategy will not only address the acquisition of new customers. Long before the Internet arrived in our homes and offices, businesses understood the value of fostering customer relationships through giveaways, prizes, offers, and loyalty programs. With the advent of social media, brands were able to take relationships with their customers to the next level. These networks are now a source of vast amounts of customer data and insights, and they allow marketers to engage with their audience meaningfully. Once again, you can use big data to ascertain your audience’s likes and dislikes, and this time use that knowledge to build and strengthen customer relationships. Most online brands do this instinctively to some extent, by offering discounts or exclusives to their social media followers. Using data allows brands to do so in a much more personal manner, thereby endearing customers further. 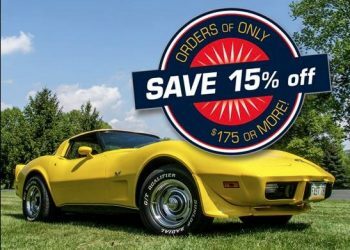 In the case of the sports car insurer from the example above, they could offer a humdrum discount (as seen in the image alongside) to some of their Facebook followers, or they could get their fans really excited about the brand by rewarding loyalty with luxury designer goods, entry to exclusive events, or by partnering with a luxury travel provider to offer discounts on exotic holidays. Moreover, data should be used by marketers to gauge customer satisfaction. This may be mined by analysing the general sentiment of users when they engage with or mention the brand online, or through traditional metrics such as returns, complaints, and calls for support. Last, but not least, big data allows marketers to go beyond the traditional measures of customer satisfaction, loyalty, and lifetime value. It allows marketers to determine the real value of audience interaction. Understanding the real value of marketing activities isn’t about congratulating yourself for a job well done. 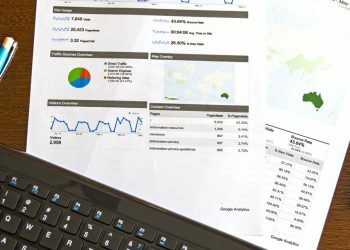 Advanced data analysis equips marketers with information necessary to identify effective channels, messages, and attribution funnels, thereby facilitating future strategic decision making. Attribution studies are gaining traction among marketers who understand the importance of measuring the role every interaction plays in the customer acquisition and retention processes. Using data from these studies enables decision makers to credit every channel, post, etc. for its contribution to each sale. This prevents executives from making poorly informed choices such as decreasing investment in a channel that is essential to driving purchase decisions but isn’t usually the final touch point before sales.